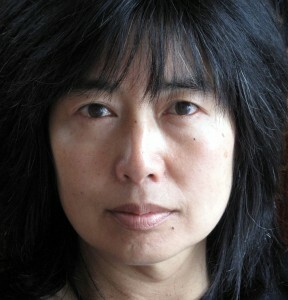 Alison Wong is a fourth-generation Chinese New Zealand writer. She was born in Hastings, grew up in Napier and has spent most of her life in Wellington. After studying mathematics at Victoria University of Wellington, she spent 1983 to 1985 at Xiamen University on a New Zealand-China Student Exchange scholarship. She worked in information technology in Wellington before spending 1994 in Shanghai. Upon returning to Wellington she studied Original Composition at Victoria University, worked as a technical writer and took up creative writing seriously. Alison moved to Geelong, Australia, in 2010 but returns to New Zealand as often as she can. Alison writes literary fiction, non-fiction and poetry. Her debut novel, As the Earth Turns Silver, set mainly in Wellington during the late nineteenth and early twentieth centuries, is told equally from Chinese and European viewpoints – a cross-cultural or mixed-cultural interest, which is significant in her writing. She believes in the value and dignity of each human life regardless of background, ability or orientation. Her spare, lyrical writing explores the complexities of the human condition and the human heart. As the Earth Turns Silver won the 2010 NZ Post Book Award for Fiction and the 2009 Janet Frame Award for Fiction. It was shortlisted for 2010 Australian Prime Minister’s Literary Awards and the 2010 Nielsen Bookdata NZ Booksellers Choice Award and was nominated for the 2011 International IMPAC Dublin Award. It was selected by the New Zealand Listener and Sunday Star-Times as one of 2009’s best books. As the Earth Turns Silver has been translated and published in several languages. Alison’s poetry collection, Cup, was shortlisted for Best First Book for Poetry at the 2007 Montana New Zealand Book Awards. Her poetry has been selected for Best New Zealand Poems and shortlisted for various poetry competitions. Localizing Asia in Aotearoa. The New Zealand-themed Issue 43: Pacific Highways of the Australian literary journal Griffith Review featured her essay about the Chinese in New Zealand and her own family’s experience. She is now working on a memoir inspired by that essay. Alison is the inaugural New Zealander to participate in the Shanghai International Writers’ Programme. A partnership between the Shanghai Writers’ Association, Shanghai People’s Association for Friendship with Foreign Countries, Michael King Writers’ Centre and New Zealand China Friendship Society, the exchange allows Alison to spend September/October 2014 in Shanghai. Alison was the 2002 Robert Burns Fellow at the University of Otago. In 1996 she received a Reader’s Digest NZSA Stout Research Centre Fellowship and a New Zealand Founders Research Award. She was an arts finalist for the 2010 Wellingtonian of the Year and in 2001 received a Porirua City Civic Award for founding and running Porirua’s popular (now defunct) live poetry venue Poetry Café. Alison has been a guest writer/speaker at numerous festivals, conferences and events including the Wheeler Centre, Melbourne; Irish Writers Centre, Dublin; Clifden Arts Festival; Over The Edge, Galway; Ó Bhéal, Cork; Hong Kong International Literary Festival; Byron Bay Writer’s Festival; International Conference of English Teachers; Auckland Writer’s Festival; Blackmore & Page Nelson Writers Festival, NZ Book Council Words on Wheels; New Zealand Poetry Society; Canterbury Poets Collective; Stout Research Centre; University of Otago Cultural Transformations Conferences; International Bananas Conferences; and New Zealand Poetry Day.